Thirsty? 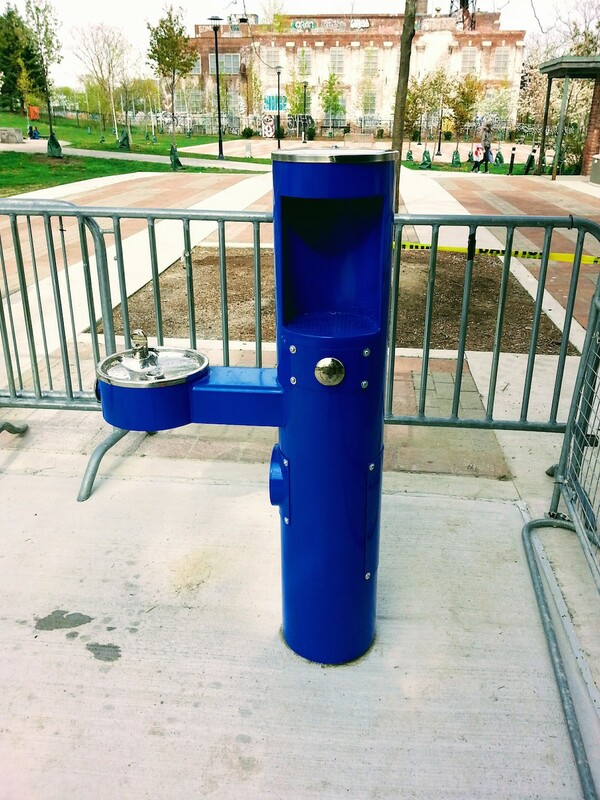 Check out the new water fountain and water bottle filling station by the Sorauren Fieldhouse. Thanks to the FitzGerald family and friends, who raised $20,000 in donations in honour of Owen FitzGerald. It’s a wonderful addition to the park and a memorial the whole community can enjoy for many years to come. The concrete pad poured for the fountain was specially designed to also accommodate the new bake oven, to be constructed this summer… watch for notices. Thanks also to Toronto Parks and Trees Foundation and Parks, Forestry and Recreation for making this legacy a reality. 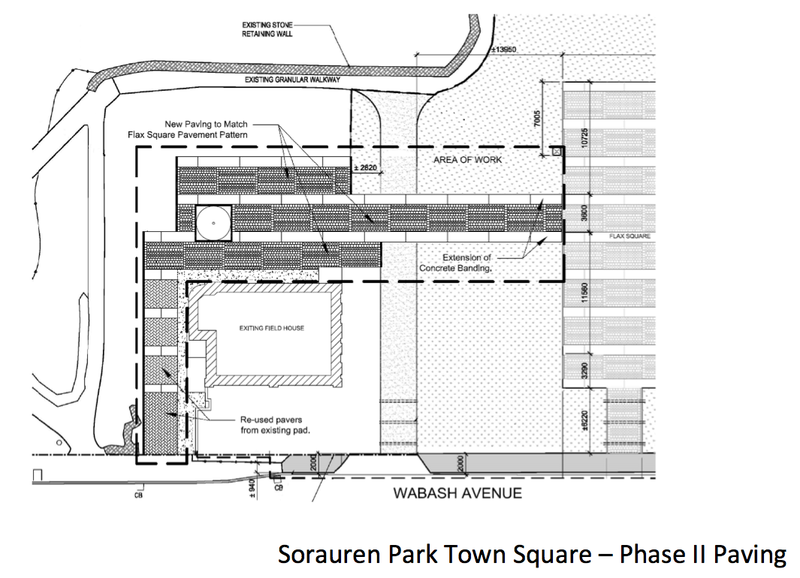 Phase 2 construction for the Sorauren Park Town Square starts July 21 thanks to community fundraising efforts and support from Parks, Forestry and Recreation. move one healthy tree to replace one dead tree near the Town Square. The dead tree was the only tree of 48 new trees that did not make it through the brutal winter, a testament to the success of the Adopt-A-Tree crew. Many parks had 30% attrition on new trees. 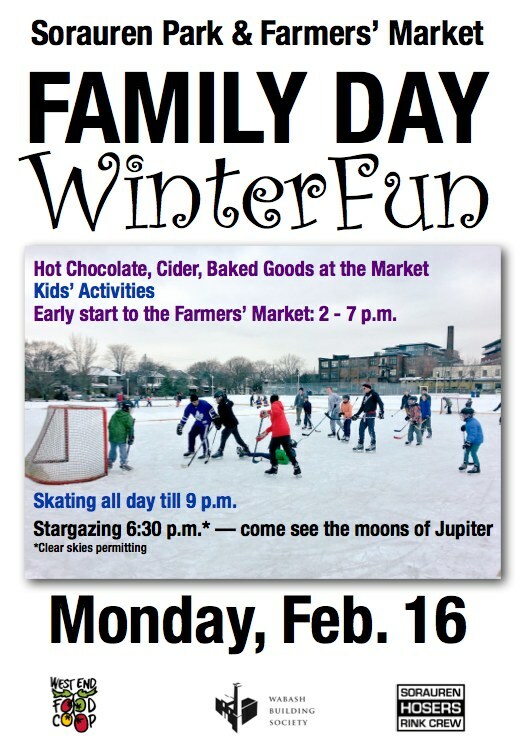 Construction will start on Tuesday to have the least effect as possible on the Monday Farmers’ Market. Work is expected to last about two weeks, depending on weather. The work does not include the bake oven… still fundraising for that! Volunteers lay it on thick for second-floor paint job. Guess who picked the colour? Following last spring’s painting of the main floor interior, volunteers moved upstairs this November to repaint the Sorauren Fieldhouse’s second floor. Over two weekends, crews cleaned, patched and painted the walls, window wells and doors, giving new life to the busy room. Big thanks to Susan Vandendam from the Wabash Building Society for organizing both the spring and fall events (and similar events five years ago, when the Fieldhouse was first painted!). 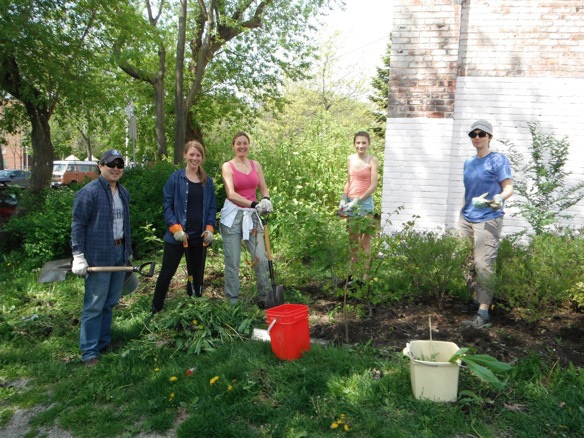 Thanks also to all the besplattered volunteers. 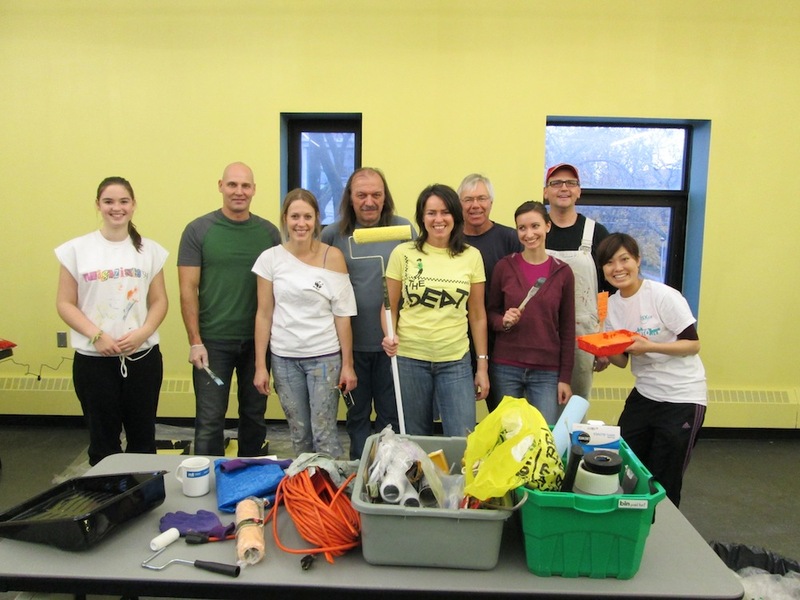 Upstairs wall paint, a vibrant yellow, was generously donated by Pollocks Home Hardware on Roncesvalles… thanks Len McAuley. Um, see you in another five years!